The Royal Mail – Is Privatisation a positive move for eCommerce? 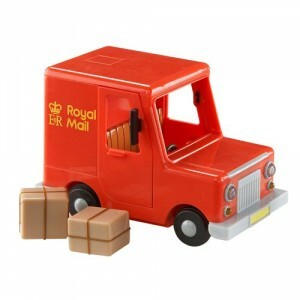 Royal Mail is used by many small businesses as the primary supplier for business post and packaging services. These small businesses are playing a key role in the country's economy at the moment. It is these small and medium sized businesses that make up a significant proportion of the Linnworks customer base here in the United Kingdom. As Royal Mail are our partners, and because we feel strongly that they are a key enabler in the growth and performance of the booming eCommerce sector, this is something we're interested in, as you will likely be. Its an increasingly popular topic of discussion both on- and off-line. The Royal Mail has been in public ownership for 378 years and the current government is considering offering parts of the business as subjects for privatisation, provoking debate throughout the United Kingdom. What we are interested in however, is how that will affect our customers in the e-commerce sector. The boom in on-line shopping has given the Royal Mail a big boost, which some wonder is prompting the timing of this sell-off. Technology consultants Capgemini have predicted that e-commerce sales in the UK are set to top £87 billion this year, that’s an 11% increase on 2012 and 14% more than 2011. Naturally the prospective private entity will need to be profit driven - Hopefully this will enable Royal Mail to deliver a more efficient and reactive service under new ownership. If private companies are seeking to obtain healthy profits, then reacting to issues and maintaining good customer relations will be key to that success. Lets face facts, sooner or later businesses will be paying more for the postal service, but will they be paying more for an improved service? The potential is for inflation of service prices to have a detrimental effect on the growth and profits of eCommerce sellers. On the other hand a vast improvement to the postal service could create a win-win scenario, with online retailers' being able to provide a higher standard of delivery and customer service, attracting new customers, and increasing repeat business. Such a drastic change is always going to inspire negativity, but these causes for concern are not guaranteed. It's tempting to take refuge in pessimism, but who's to say what the future holds for the commercial environment? Historically privatisation hasn't boded well for the commercial sector, most notably the utilities privatisation. The eCommerce sector has worked wonders for the Royal Mail, the substantial boost in parcel delivery alone has been a primary profit making factor for them. It would be illogical to dent the highest growing and continually growing sector in the UK. Figures from YouGov show that the majority oppose the sell off. Is this move politically motivated as much as commercially – is this potentially a damaging move for one of the most dynamic parts of the economy? We all have our thoughts on this, but we can all agree on one thing - We'll all be keeping a close eye on future developments.